Bankruptcy Information | Bankruptcy Can’t Fix Everything! Home > Bankruptcy Basics > Bankruptcy Can’t Fix Everything! 05 Sep Bankruptcy Can’t Fix Everything! In society today, we want a quick fix for everything. A little overweight, take a pill and lose weight. Feeling a little blue; take a pill and things will look brighter. We are used to stock answers to questions and become a bit upset when there is no easy answer to a particular problem. Your finances are no different. Often, you find yourself in a situation needing some assistance as the result of several different factors. And often, there is no one fix to alleviate the financial difficulties. For example, recently I spoke with a person who was going through a divorce. 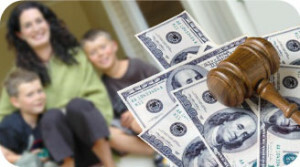 As a result of the separation and impending divorce, a two-income household went to a one-income household. This person had a substantial amount of unsecured debt but, with a one-household income, keeping her home was going to be problematic. This person thought that bankruptcy would provide the answer. Unfortunately, bankruptcy will not fix everything. While a bankruptcy filing would certainly get rid of the unsecured debt, it would not do anything to help make this person’s mortgage more affordable. It would not do anything to bring more income into the household. It would help by eliminating some potential outflow of cash but the unsecured creditors were not being paid anyway. As this person pointed out, “getting rid of the credit cards isn’t helping me because I’m not paying them now.” Needless to say, this person left somewhat discouraged. In short, bankruptcy cannot fix everything.